With over 25 years experience in the industry we are well known for delivering high end service, we only use quality materials and pay absolute attention to detail. Our kitchen and bathroom cabinetry is uniquely designed around your ideas, needs and inspirations to achieve the ideal result every time. We can accommodate for all of your needs, no matter how big or small. We use the latest state of the art equipment and materials to build your perfect design. 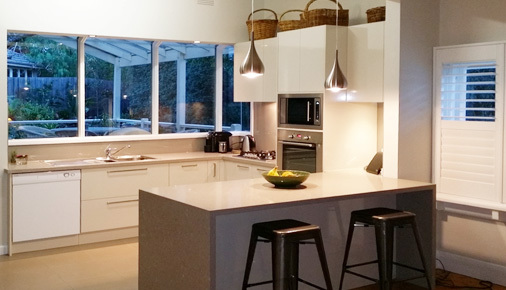 Kitchens by JRO service all of Melbourne's suburbs, including inner and outer suburban areas, call us for more information on how we can help you on your next project. Kitchens by JRO work with and are associated with award winning designers, we strive for excellence in our workmanship and provide you with an end product that represents value for money and exceptional quality. We strive to ensure that you the client, are happy with the final result. Kitchens by JRO can custom create your next project, all cabinetry is made for you in Melbourne. Feel free to contact us on 0412 933 117 and we can arrange a quote or submit the following quote request form. A member of our team will contact you shortly. With over 25 years of experience in the industry we deliver a high end service using quality materials and pay absolute attention to detail.